Just last year, Atlanta was voted one of the best places in the United States to visit. 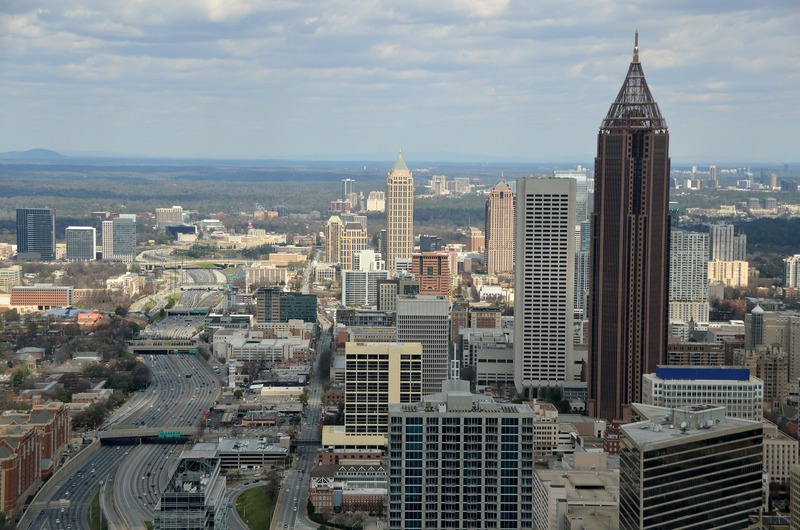 It’s one of the most popular locations in the southeast for a vacation and is known by many as the “city too busy to hate.” Atlanta is complete with high-end shopping, rich history, and a booming dining scene. Atlanta is full of things to see and do for families. Children and adults will love Atlanta’s beautiful falls and springs, world-class attractions and museums, and their southern hospitality and charm. This museum is geared towards children ages eight and under. It was renovated in 2015, to focus on STEAM (Science, Technology, Engineering, Art and Math). The museum is located across from Centennial Olympic Park and features age-appropriate activities, hands-on learning, and engagement in literacy, health, and the arts. There are free play areas, a Toddler Zone, and fun for older children upstairs. On the second Tuesday of every month, guests can visit the museum free from 1 to 6 p.m. Treat your family to a little bit of history and a fun multimedia attraction at the World of Coca Cola. The most famous soft drink in the world was invented in Atlanta in 1886. You’ll get to watch a 4D movie, watch the bottling process from behind-the-scenes, and taste different Coca Cola product from across the globe. General admission for adults is $17.00 and $13.00 for children ages 3 to 12. The Georgia Aquarium is the largest in the United States. The underwater experiences and hands-on exhibits are magnificent. You’ll enjoy the sharks, penguins, and interacting with a beluga whale. There’s a Toddler Time program for the little ones while older kids will take pleasure in the live animal experiences. Adults can even reserve cocktail parties at the Aquarium. The Centennial Olympic Park sits on over 20-acres and has the world’s largest interactive fountain. This vibrant, walkable park takes you through five-star dining, world-class attractions, an array of entertainment options, and luxury hotels. In the summertime, kids can play in the water jets or ride the 20-story Ferris wheel SkyView Atlanta. The Atlanta Botanical Garden is filled with lush green trees and edible plants. Visitors will always discover something new thanks to the many exhibitions, classes, and events held on the property. Explore the outdoor gardens and head over to the Soggy Bog for bird watching. Spring is the best time to visit for a full day of garden inspiration. You can gain knowledge and tips from other enthusiastic gardening experts. Tickets for adults are $23.95, and $20.95 for children ages 3 to 12.